Fianna Fáil leader Micheál Martin has told the Dáil that he accepts the findings of the Mahon Report against members of his party. However, he said he would not accept the hypocrisy of the Government, which demands accountability of others but fails to do so itself. Mr Martin said the Taoiseach refuses to answer direct questions on whether it is right to accept donations on the second mobile phone licence, which formed the findings of the Moriarty Report. He said Deputy Tommy Broughan is the only one to stand up and criticise the donations. He added that it was an outrage that commentators and journalists, who have sought answers in relation to the Moriarty Report, have been attacked for doing so. The Fianna Fáil Leader said the party takes the Mahon Report very seriously, and understands the scale of the challenge in rebuilding trust. 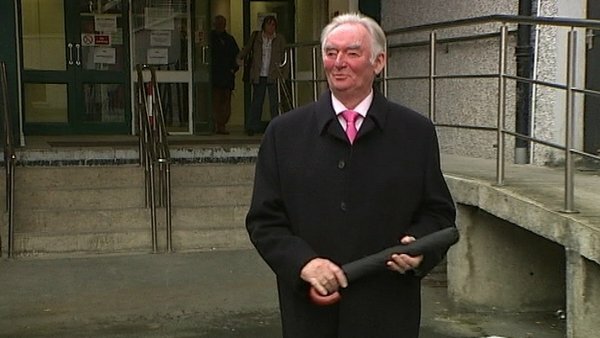 He said that former taoiseach Bertie Ahern's difficult personal situation at the time is not enough to excuse what the Mahon report found against him. Ahern did in the peace process but it cannot absolve him. Richard Boyd Barrett of the United Left Alliance said the current Fianna Fáil leader was around when the corrupt activities reported by the Mahon Tribunal was going on. He questioned how, given the devastating consequences it has had for our society, Fianna Fáil can put themselves forward as a credible party was beyond him. Minister for the Environment Phil Hogan told the Dáil that the electoral amendment bill currently going through the House will go some way to preventing corrupt activities, ensuring that the books of all political parties will be open to public scrutiny. Meanwhile, two more former Fianna Fáil politicians have resigned from the party following findings against them in the Mahon report. Former TD GV Wright and former Senator Don Lydon submitted letters of resignation to the party's central office this afternoon. This follows the resignation of former Taoiseach Bertie Ahern, former EU commissioner Pádraig Flynn and former councillor John Hannon. The only other figure left facing an expulsion motion at a national executive meeting this Friday is former councillor Finbarr Hanrahan. 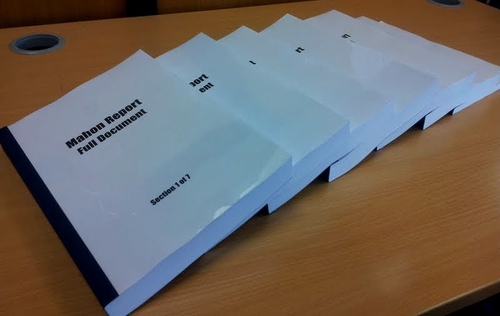 The Dáil debate on the fallout from the 15-year inquiry into political and planning corruption comes in the wake of the high-profile resignations from Fianna Fáil and coincides with the start of disciplinary proceedings by Fine Gael against members cited in the tribunal report. Fine Gael Councillor Anne Devitt announced last night that she was stepping aside from her party, while it carries out its own internal inquiries into the tribunal's findings. The Mahon report said inappropriate payments were received by Councillor Devitt, TD Olivia Mitchell and Councillor Therese Ridge, who all socialised with lobbyist Frank Dunlop and developer Owen O'Callaghan. Bertie Ahern is currently in Nigeria, where he was the keynote speaker at a State Economic Investors Forum last night. The leader of the Seanad, Senator Maurice Cummins has confirmed the upper house will debate the Mahon Tribunal report after the Easter recess. Four Government Departments have also been asked to report on how to implement the recommendations of the report. The Departments of Environment, Public Expenditure, Transport and Justice have until the end of April to consider how recommendations in their areas can be implemented. They are to report to Minister Phil Hogan, who will then brief Government. This morning's Cabinet meeting formally noted the findings and recommendations of the Mahon Report. Former Fine Gael Dublin county councillor, Mary Muldoon, has said that she was of the opinion that over 50% of her fellow councillors at the time were taking bribes, dressed up as legal political donations. Speaking on Raidió na Gaeltachta's Glór Anoir, Ms Muldoon, who had given evidence at the Mahon Tribunal but who, she said, was saying this for the first time publicly, stated that some of her fellow councillors were receiving sums of between IR£500 and IR£2,500, but were calling them legal political donations. It was on this basis, she said, that she reckoned that the tribunal could not investigate the payments. Asked to quantify the number of councillors receiving these payments, she said more than 50% but less than two-thirds. She said that some councillors were pressurised into taking payments, and that even within her own Fine Gael party, that one ran the risk of being ostracised if payments were not accepted. She said that she did not receive chairperson roles or foreign trips as a Fine Gael councillor and linked it to her not taking payments. She said she had never been offered these payments and suggested that it was due to voting according to her principles.